FREE Elle Decor Magazine Subscription! 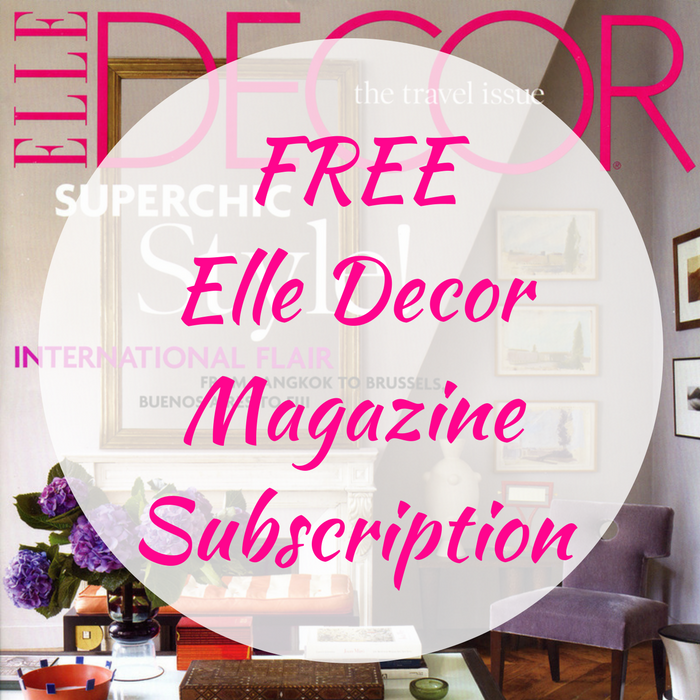 You are here: Home / FREEbies / FREE Elle Decor Magazine Subscription! FREEbie Alert! Click here to request a FREE Elle Decor Magazine Subscription by just filling out the short form! Once done, your FREEbie will be on its way! Nice!